Cathryn is a registered doctor of Chinese Medicine and Acupuncturist graduating from RMIT University holding a Masters of Health Science (Distinction), along with a Bachelor of Health Science and Diploma of Applied Science in Naturopathy and Nursing. 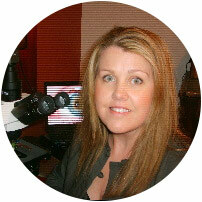 Cathryn also holds qualifications in natural fertility, hormone health, nutrigenomics and men’s reproductive health . Cathryn has over 20 years of combined experience in health care and is qualified in nursing having previously worked in major teaching hospitals in gynecology, obstetrics, oncology and pediatrics. Cathryn has had the opportunity to work with some of the best fertility experts and Chinese medicine practitioners from both Australia, China and the U.K. 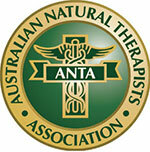 Observing at the acupuncture IVF support clinic in Sydney with Jane Llytelton. Working with Dr L.Z. Chen, Professor Jia fen Pan at the Fugian Provincial Hospital, China and Professor G. Chen at the Inner Mongolia Medical University and fellow at the Oxford University Hospital in the U.K.
Cathryn currently juggles a busy clinic helping many couples to have babies and balance hormones alongside lecturing in the Nutritional and Dietetic Medicine department, teaching medicinal food science, Clinical Diagnostic’s, Pathology and research. Cathryn has also been involved with Flinders Fertility conducting research in the area of acupuncture in conjunction with the University of Western Sydney.